I’ve learned to carry my camera with me at all times these days, traveling around the French countryside you just never know what you’re going to spot and when! Today was no exception to that rule, when on the way back from a morning’s trip to Égletons, I spotted a small clump of white spiked flowers growing by the side of the road. Needless to say, the car was stopped, and out I jumped to take a couple of photographs in the pouring rain! 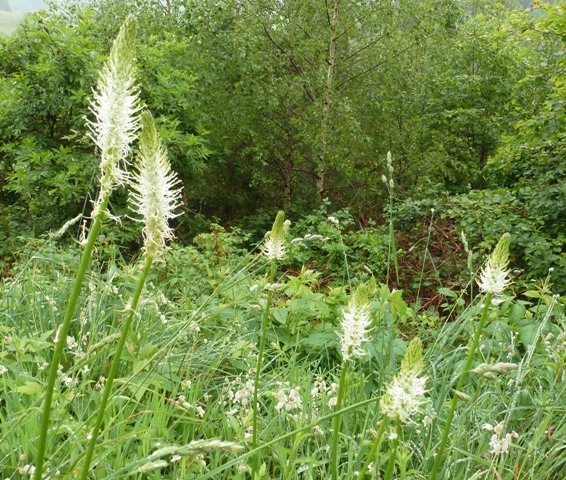 Spiked Rampion has creamy-white flowers which grow in tall spikes, less than a metre tall. 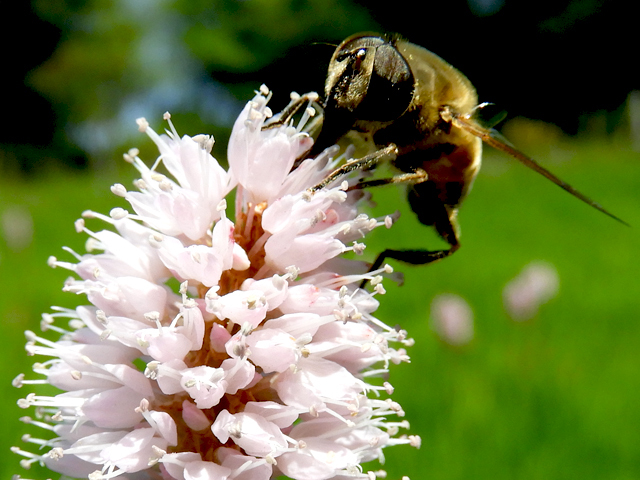 Its leaves are basal, and are blade shaped with a toothed margin. 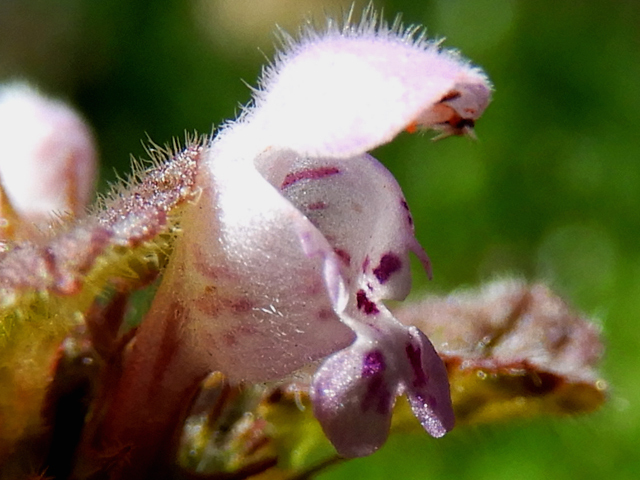 It flowers from May to June, and can be found growing in shady areas along the edges of woodland or roadside verges. 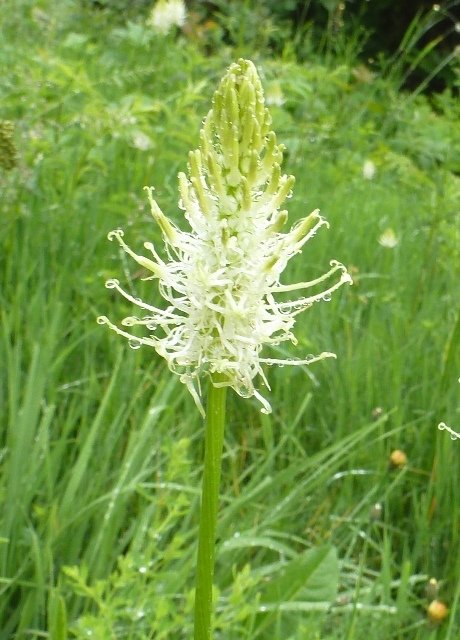 Spiked Rampion is common throughout France but is rarer in Mediterranean and Northern regions. Although common in France, Spiked Rampion is very rare in the UK where it is on the red list for being an endangered species. It can only be found growing on a few sites in East Sussex, which for me, although being a common wildflower here in France, makes seeing this today extra special. The flower is commonly known as the Rapunzel flower, as in English translations of the fairy tale Rapunzel, Spiked Rampion, which has edible roots, is the plant stolen which results in the baby Rapunzel being given to the evil witch, and subsequently locked in the tower! 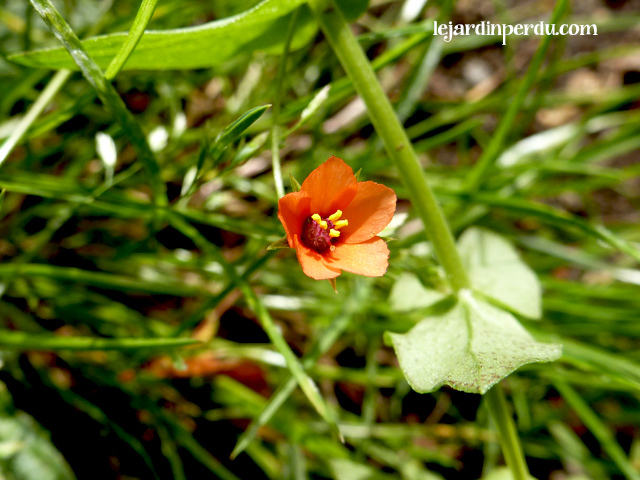 Whilst traveling around this June, keep a look out for the beautiful Rapunzel flower. I’d love to know if you have Spiked Rampion growing near you, so please do leave your comments in the box below. I have never come across this before, we live in the Charente Maritime, close to the coast, I wonder does it cope with salt air? It is terribly pretty and I shall certainly keep my eyes open for it. Isn’t it amazing what you can find beside the road. I am featuring a tour of our garden here on my blog tomorrow, finally, after such a chilly April and May things have come into full bloom and it’s looking quite good! We haven’t had any rain today, in fact it’s sunny and nice but a little breezy. Have a lovely weekend. Lots of really interesting information, and lovely photos. I can’t say I’ve ever seen Spiked Rampion around here (we are in Tarn-et-Garonne, SW France), although there is something yellow that looks rather similar. I will have to look out for it and if I see any I will be back to let you know. Yes please do, I wasn’t expecting to see it, it just caught my eye as we drove past in the car!